Here is the introduction to Michael Schrage’s classic interview of Daniel Kahneman, published by Strategy+Business magazine (2003). I have also included the first two Q&As. To read the complete interview, check out other resources, and obtain subscription information, please click here. You might choose to dismiss the baseball query as a trick question. But the pathological mistakes and the persistent miscalculations smart people make when they’re making up their minds is at the core of Professor Kahneman’s path-breaking research. 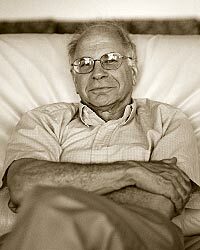 With his late collaborator Amos Tversky of Stanford University, Professor Kahneman completely reframed how economics and finance define and measure rational behavior. Their provocative thinking about thinking and simple — yet remarkably powerful — experiments have revealed the quirks, logical inconsistencies, and flaws in human decision making that represent the rule rather than the exception in cognitive processing. In your classic work on inconsistencies in individual decision making, the focus seemed to be on the fact that people make irrational choices even when they have pretty good information. When you are interpreting old results or old thoughts, you have to think what was in the background of the scientific conversation at the time. And at that time, in the 1970s, irrationality was really identified with emotionality. It was also obvious that a lot of explicit reasoning goes on: It was absolutely clear to us that people can compute their way out of some things. But we were interested in what comes to mind spontaneously. That led to the two-system theory. Can you describe the two-system theory? Many of us who study the subject think that there are two thinking systems, which actually have two very different characteristics. You can call them intuition and reasoning, although some of us label them System 1 and System 2. There are some thoughts that come to mind on their own; most thinking is really like that, most of the time. That’s System 1. It’s not like we’re on automatic pilot, but we respond to the world in ways that we’re not conscious of, that we don’t control. The operations of System 1 are fast, effortless, associative, and often emotionally charged; they’re also governed by habit, so they’re difficult either to modify or to control.